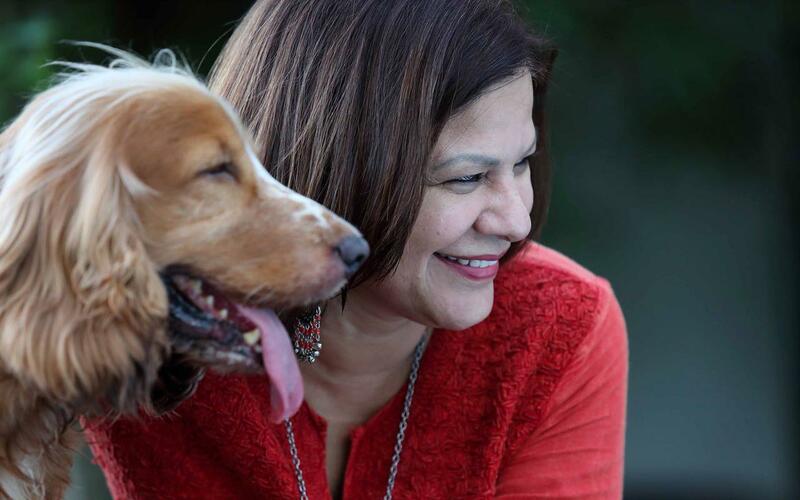 Home » Entertainment » Manjeet Hirani: A Dog-book so humane! Meet Manjeet. 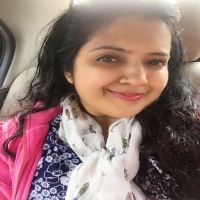 Manjeet Hirani. Once an air-hostess then a pilot, and now a writer. 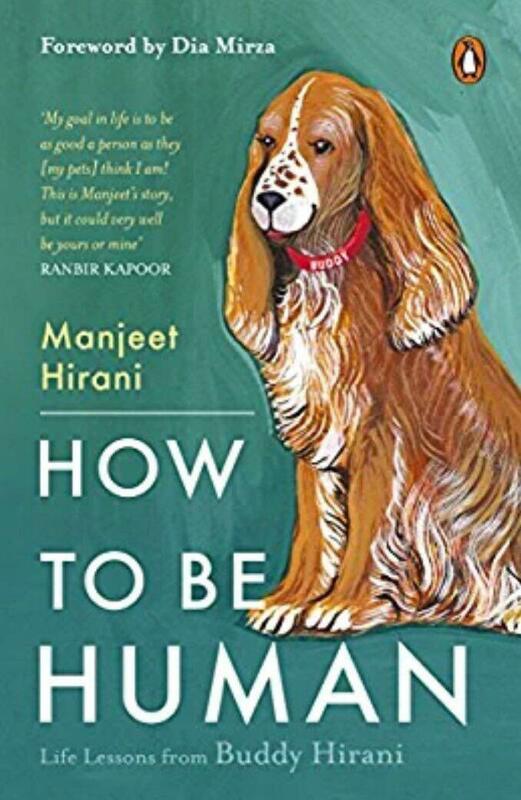 Manjeet has recently come up with a book titled, “How To Be Human: Life Lessons by Buddy Hirani.” The 'write' path wasn't an easy one, or should we say was unintended. It just happened. 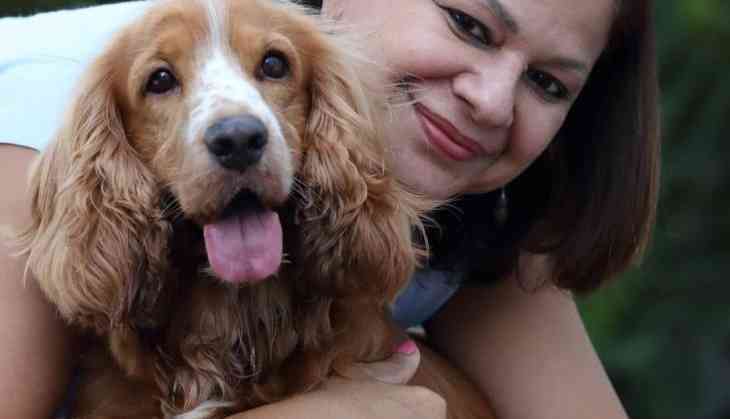 The story goes like this: Manjeet Hirani was adamant that a dog would never enter her house, but that was before little Buddy arrived at her doorstep. One day, the doorbell rang. Her husband, a film director, had just finished shooting for a film, had sent a parcel for their son. It was an adorable puppy, one that had played a role in the movie. Despite her initial inhabitions, Manjeet grew to love Buddy. So much that she began penning a blog on him. A few write-ups and Manjeet realised that her notes on 'Buddy' can turn into a useful book. In the book, she writes about attachment, parenting, and karma, among other things. She shows how having a dog in the house can alter your perspective and change the way you experience life. It is about my pet Buddy. In fact it is not just about him, it is about the human factor. Living with him for the past few years I have grown to compare pets with humans. There are times when I have seen traits in dogs that are similar to that of us humans. And then there are times when I wish we humans behaved like these dogs do. Apart from heart-felt stories about Buddy, the book is also a philosophical and psychological delight. I have discussed love, empathy, forgiveness, depression, puberty, and more. Dogs, like humans, are territorial. Every time I take Buddy for a walk in the neighbourhood or anywhere else, I see other dogs barking at him. It’s like they do not want anyone else to enter their territory. So is with us humans. Why otherwise would we have territorial disputes? Having said that I would add, dogs are not greedy like us humans! They are happy in their territory and show no interest in someone else’s area. I have seen Buddy enter his shell. The times when he wants to keep to himself. I don’t know if I should say ‘sad’ but during that time he abstains from any interaction. I assume he soothes himself. How good it would we if we could soothe our wounds and return to our normal self after sometime. There are times when we have guests who are scared of canines. In order to make them comfortable we lock Buddy in another room. I can always read the dejection on his face. But the best part is, when we free him he comes running to us with great energy. No anger. No grudges. I wonder how beautiful the world would be if we held no grudges. As parents we often yell at children for doing or not doing certain things; it can be as simple as throwing things around the house, or wanting to go in the open and wander. When Buddy was approaching his puberty he behaved very naughty and we enjoyed every bit of it. I wish parents could do the same with their kids i.e enjoy the growing up phase. Owing to my fascination with our pet Buddy, I began writing a blog. But soon, after having written 10 blogs, the idea of coming up with a book occurred. Knowing that he would seek a lot of perfection from me, I did not share the details with my husband Rajkumar Hirani. (Yes! The famous film director is Manjeet’s husband). He learnt about it once the book came out. And as expected he said, “Why do you call it a dog book. It is more of a philosophical or a motivational book. Well! I still like to keep it as a book with a heart. Both Rajkumar Hirani and Manjeet Hirani have a lot of humanity in them. One can see the same in the latter’s book, and the former’s films. We wish Manjeet a huge success with the book and hope she comes up with more such books. Rajkumar Hirani has a competition when it comes to writing. A tough one at that.